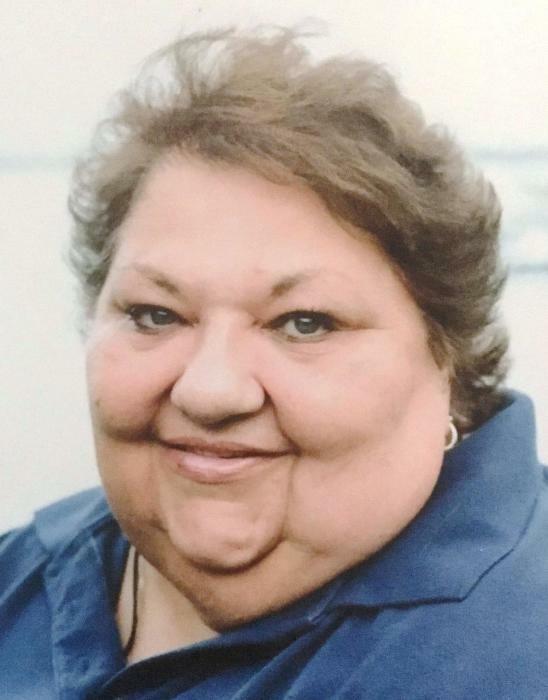 Kathleen Mayme Levesque, age 72 of Spring Lake, passed away Tuesday February 5, 2019, following a brave battle against cancer. She was born to the late Francis Marlow and Germaine Tappe in Superior, Wisconsin on October 20, 1946. She graduated from Bay City High School, followed by Cosmetology School. She married the late Richard Levesque in 1977, and they lived in Ferrysburg, before she relocated to Spring Lake. Kathy lived her life in the service of others; always there with open arms to embrace and help. Her early years were spent as a cosmetologist, mother, and elementary school attendant. Later in life, she continued helping others, working various jobs using her creative talents as a jeweler, wedding assistant, floral designer, and CNA. She had the most beautiful hand writing. For her, cursive and calligraphy came with ease, and every reader simply enjoyed the text. As her health declined, she continued to think of others, asking that her treasured fluffy throw be donated to the facility for others to feel the warmth in their time of need. She is survived by her two children: Jay (Susete) Maciejewski of Attleboro, MA and Shawna (Craig) Wilder of Kalamazoo, MI. She is also survived by her eight grandchildren: Chase Wilder, Mikayla Maciejewski, Carson Wilder, Conlan Wilder, Sophia Maciejewski, Macy Wilder, Crew Wilder, Mallory Wilder; her brother, Peter (Phyllis) Marlow; sisters-in-law, Naska Tappe and Linda Chambers; brother-in-law, Michael Rizzotti; cousins, Elizabeth Galiardi, Cathy Galiardi; step-children, Paul, Mark, and Cathy Levesque; and several dear nieces and nephews. Kathy was preceded in death by her loving husband, Richard, in 1986. A Memorial Service will be held at 11 a.m. Monday, February 11, 2019, at Klaassen Family Funeral Home in Grand Haven with Pastor Jason Olson officiating. Visitation will be one hour prior to the service at the funeral home. In lieu of flowers, the family requests that Memorial Contributions be made to the Hospice of Southwest Michigan.